The one whom we adore as the Mother is the divine Conscious Force that dominates all existence, one and yet so many-sided that to follow her movement is impossible even for the quickest mind and for the freest and most vast intelligence. I belong to no nation, no civilization, no race, but to the Divine. I obey no master, no ruler, no law, no social convention, but the Divine. To Him I have surrendered all, will, life and self; for Him I am ready to give all my blood, drop by drop, if such is His will, with complete joy; and nothing in His service can be sacrifice, for all is perfect delight. The Mother was born Mirra Alfassa in Paris on 21 February 1878. A pupil at the Academie Julian, she became an accomplished artist, and also excelled as a pianist and writer. Interested in occultism, she visited Tlemcen, Algeria, in 1905 and 1906 to study with the adept Max Theon and his wife. Her primary interest, however, was spiritual development. In Paris she founded a group of spiritual seekers and gave talks to various groups. 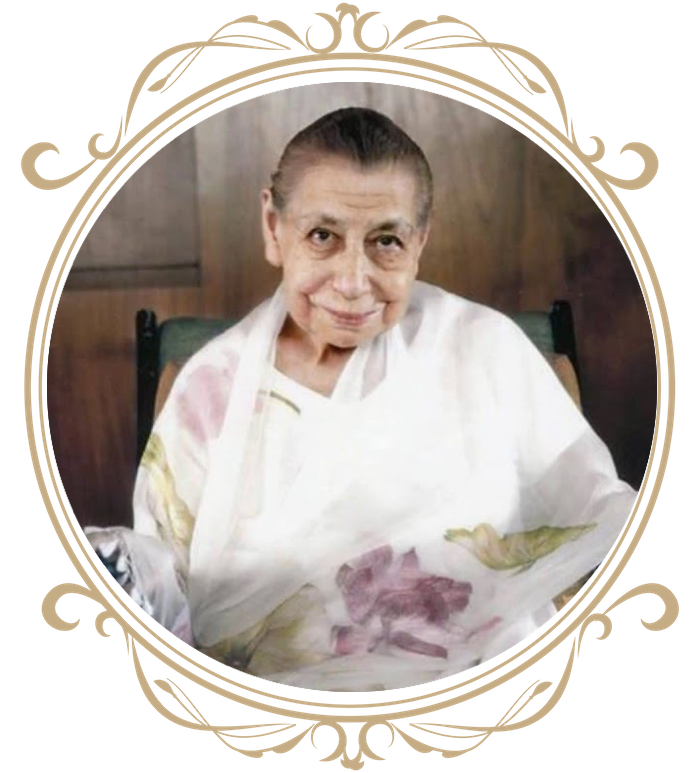 In 1914 the Mother voyaged to Pondicherry to meet Sri Aurobindo, whom she at once recognised as the one who for many years had inwardly guided her spiritual development. After a stay of eleven months she was obliged to return to France due to the outbreak of the First World War. A year later she went to Japan for a period of four years. In April 1920 the Mother rejoined Sri Aurobindo in Pondicherry. When the Sri Aurobindo Ashram was formed in November 1926, Sri Aurobindo entrusted its full material and spiritual charge to the Mother. Under her guidance, which continued for nearly fifty years, the Ashram grew into a large, many-faceted spiritual community. In 1952 she established Sri Aurobindo International Centre of Education, and in 1968 an international township, Auroville. The Mother left her body on 17 November 1973.